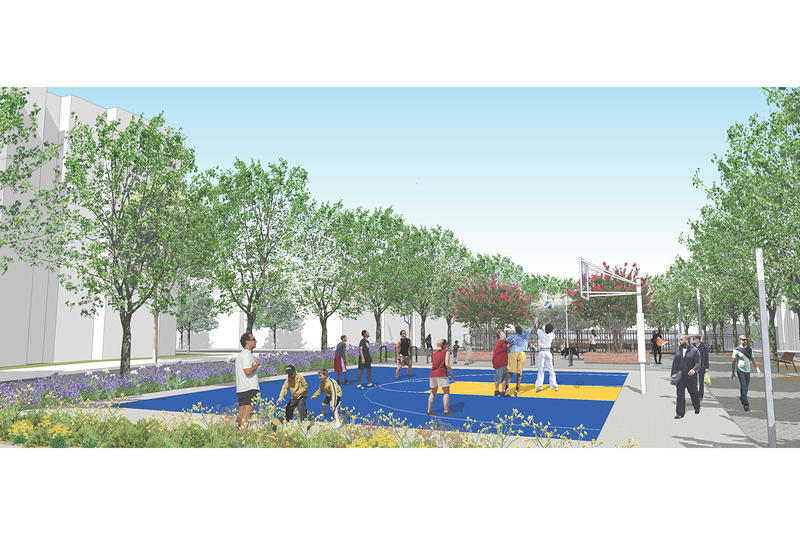 Alice Griffith Neighborhood Park serves as the community commons for the renewed Alice Griffith neighborhood in the Candlestick Point Development. 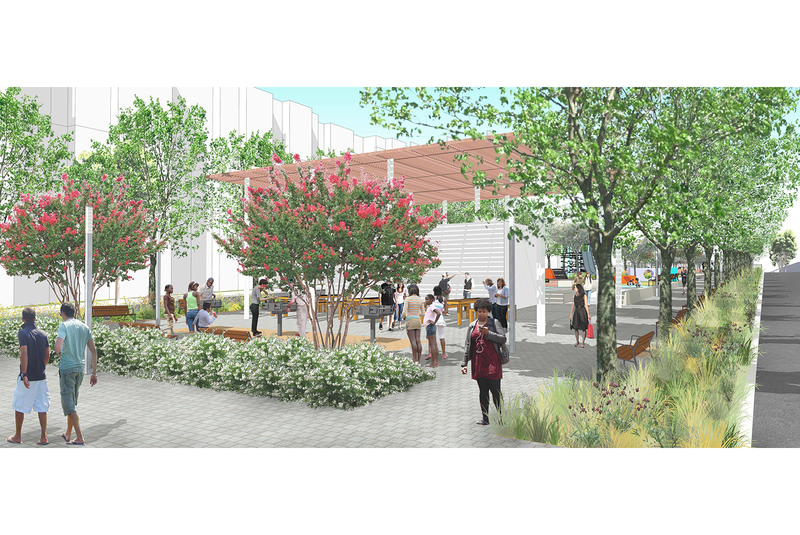 It is designed to become the outdoor living room of the community, where neighbors get to know each other, socialize and celebrate their commonalities and differences. 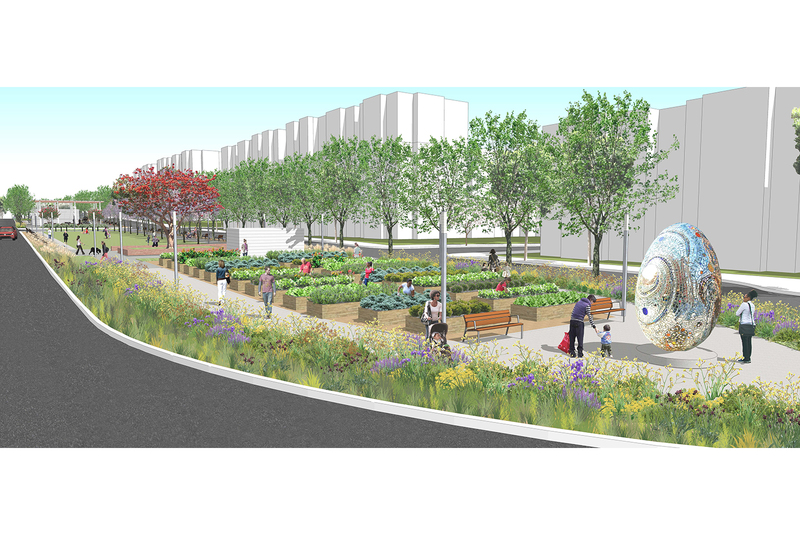 The park’s east-west orientation is purposeful – it acts as a link between the existing Bayview neighborhoods and the rebuilt Alice Griffith housing development, and it is hoped that the existing adjacent community will use this open space to connect with their new neighbors. Amenities include a dog run, basketball court, open lawn, barbeque and picnicking opportunities, art, and a community garden.